Ten years on, what have been the principal impacts of the terrorist attacks of 11 September 2001 on the external policies and international outlooks of the world's major powers, the range and scope of the international security agenda and on the capacity for states and international organisations to work together to combat the dangers of international terrorism? 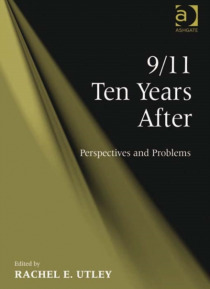 This book investigates a range of i… nternational responses to the events of 9/11, to evaluate their consistency over time; to analyse their long-term significance and impact and to consider both their implications for the international security agenda and the prospects for international cooperation in addressing the challenges posed. In particular, the book considers the perspectives of some of the world's major powers and international organisations on the question of international terrorism, and on its perpetrators, comparing their interpretations and responses and examining how these have changed over the course of a decade of conflict. This book is primarily directed at an academic market, and especially towards undergraduate and taught postgraduate students on courses in international politics, international relations, security studies, terrorism studies, and contemporary international history.